February 21 from 6:30-8:00 PM. Kick-off the 10th Intersections Festival with us at The Washington Post launch party! The cafe will be open plus we’ll have light bites and sips from 6:30pm – 7:30pm. Listen to Matthew Mills, named one of the 50 fastest guitarists in the world, in the lobby while you experience an Immersive Quilt at the Artspace Activation presented by Cultural DC. We’re thrilled to have Special Guest and Welcome Remarks from Laura Coates, CNN Legal Analyst, Sirius XM Radio Host, Best Selling Author. Laura Coates, (Saint Paul (Minnesota), U.S.,) is an American legal analyst at CNN. Since the Trump Administration‘s taking office early2017, she analyzes and comments as a legal expert the ongoing, (often) unusual complications from a constitutional or criminal point of view. On May 2016 she joined CNN as a legal analyst. 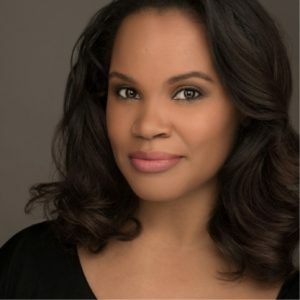 Since 2017, she has hosted her eponymous talk radio-show, called The Laura Coates Show on radio SiriusXM’s Urban View. In addition to being a well-known broadcasting personality, Coates is an adjunct law professor at the George Washington University School of Law and routinely speaks across the country on civil rights, social justice, and economic empowerment. 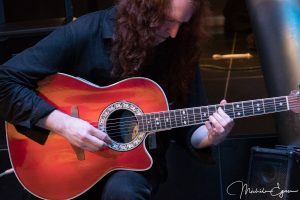 Hailing from Southern Maryland, guitarist Matthew Mills began playing guitar at the age of fifteen after being blown away by Yngwie Malmsteen’s “Trilogy” album. Taking guitar very seriously, Matthew began practicing as much as 6 to 8 hours a day while listening to Malmsteen, Vinnie Moore, Jason Becker, Tony MacAlpine, Joe Stump Al Di Meola, and George Bellas. In 2008, Matthew was voted as one the 50 fastest guitarists of all time by the July 2008 Guitar World Magazine. Matthew also has been endorsed by Schecter Guitar Research and conducted guitar seminars for the company regionally showing guitarist innovative ways of performing advanced arpeggio sequences. Matthew has released seven solo albums including Matthew Mills “Neoclassical Rock Guitar”, Matthew Mills “Neoclassical Rock Guitar Part 2”, Matthew Mills “Neoclassical Spirit”, and Matthew Mills “The Neoclassical Journey”.